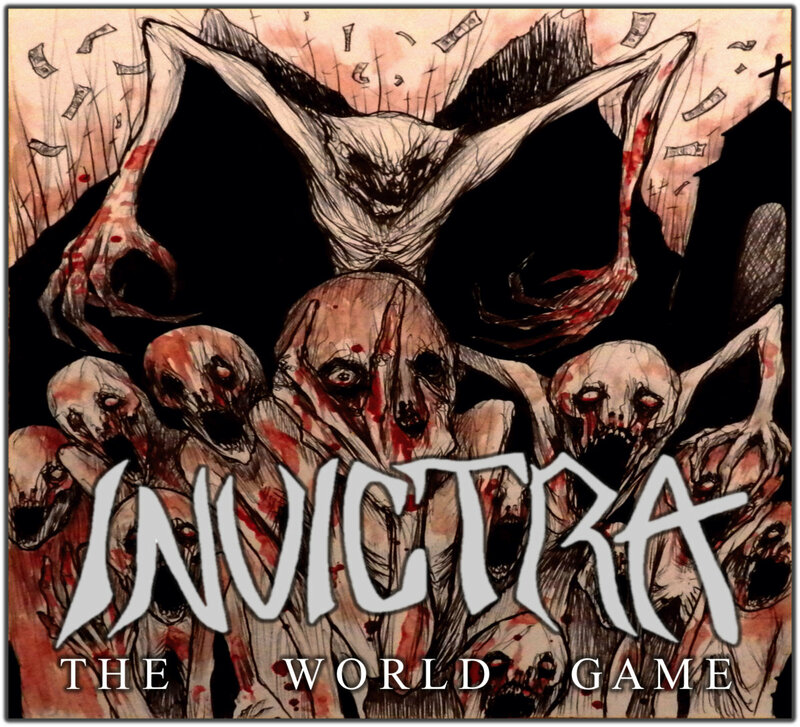 Invictra is a metal four-piece from Rochester, New York who in March this year launched their debut album "The World Game." 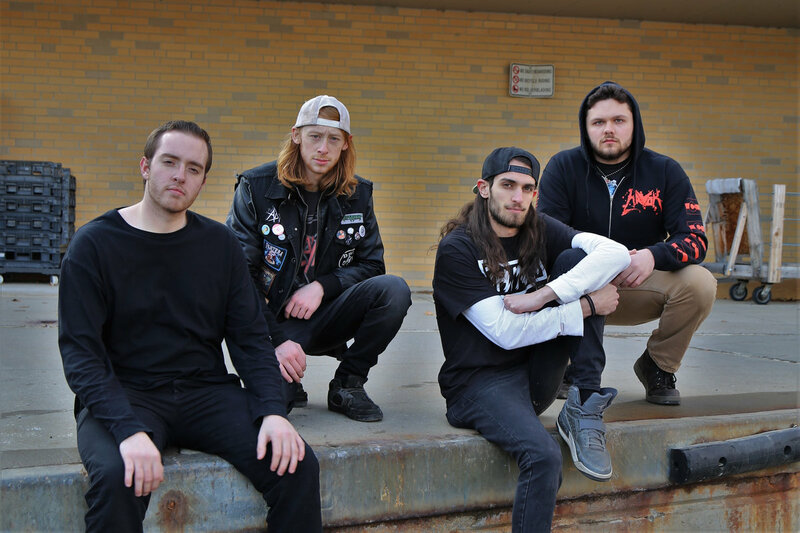 Singer and guitarist Josh Zalar, lead guitarist Alex Dynn, drummer Dylan Thompson, and bassist Steve Stephany, spoke for Metal Horizons. Josh: Life’s good! Everyday’s a bonus, and everyday above ground is a good one! Jason: Life has been on a huge upswing of positivity for me lately and I'm not going to let that stop. Alex: Life is absolutely wonderful, no complaints from me. Dylan: Life is rad, loving every second of it. Speaking of new music, you have an album. What can people expect from “The World Game”? Josh: They can expect in-your-face heavy metal. A combination of thrash, power, melody and lots and lots of guitar solos. Also expect to hear lyrics that go anywhere from government conspiracies to common struggles that people deal with everyday. Alex: I think people can expect a blend of metal music that they might not be entirely familiar with. We really tried to give a fresh look to the established sounds of thrash and groove metal and I feel we accomplished that. Jason: I feel like it's going to offer a really good mix of modern and old school metal. Solos and riffs for days while also throwing in breakdown patterns that a lot of modern metal has. Dylan: The World Game has a really cool mix of fast Thrash riffs and strong melodies that will keep a listener hooked from front to back. I’m super stoked on it. Josh: It’s always fun working on music. It was different than any of the other times I wrote music, they were all early demos or lacking direction before. I feel like me and these guys really got a good sound that stayed consistent from track 1 to 10. Alex: Working on this album was an awesome experience. It was really the first time I had sat down with a group of guys and tried to actually write songs and I'm so happy with the way it turned out. Dylan: It was really cool to get all of us in a studio to bang out a record that we’re super proud of. Working with our producer, Joe Chudyk, was awesome. He helped us find all the sounds we wanted. Are there any touring plans in support to “The World Game”? Josh: We’re working on that now. We’re playing all kinds of shows around New York State but we’d really like to branch out and show other areas what we can bring to the table! Jason: There are plans within the camp right now, yes. We're focusing really hard on our local scene right now. Dylan: We have a lot of shows planned right now, but I would absolutely love to get on tour to really get our name to the masses. Josh: I’d start with our own and Canada, there’s still a lot to see that I haven’t yet! South America loves their metal, so that’d be a fun one too. But I have no preference, I’d play any country that embraces my music! Alex: I'd eventually love to do a tour in Europe, seeing the history and architecture there has always been something I wanted to experience. Jason: Anywhere in Europe would be an absolute dream. I've only heard good things about the metal scene overseas and would love to experience it. Dylan: I would love to go across the US and Europe, and of course I’d be hitting every skate spot I saw. Josh: Jason Becker is probably my biggest inspiration. To have the drive to continue working on music after being cursed with ALS is such an inspiring story. I’d love to meet him one day! Dave Mustaine is another big one as a frontman. Gotta know how to play crazy riffs and sing at the same time! Alex: I'd say apart from any musician my biggest inspiration has always been my family. They've been supportive throughout my entire life in everything I've taken on. Jason: As a bassist and performer, Jason Newsted, hands down. He brought so much energy to Metallicas live shows and I hope to be able to bring that to our band as well. Dylan: Life, music, skateboarding and my friends, I'm just trying to go out and get some. John Cardiel is a super big influence on me. Josh: I love the Blues, especially Stevie Ray Vaughan. I watch the DVD I have of him and Albert King all the time! I’ve been pretty heavily inspired by rock music, especially KISS, Van Halen, Creedence Clearwater Revival, Deep Purple, and tons more I’ll answer for those who ask! Pretty much anything with heavy guitar I can get into. Alex: I've always been into older classic rock and even some 80’s hair metal. When I started playing guitar I listened to those genres more often than anything so those artists definitely had a big hand in developing what I sound like today as a guitarist. Jason: I'm really into retrowave music like Gunship and Pertubator. As far as influences from outside our genre, I'd have to say Thrice is a big one for me. They were able to make any kind of sound they wanted to and have it come out perfectly. Definitely helps me approach extending my sonic barriers. Dylan: I'm a huge fan of noise and grindcore. Full of Hell, Gas Chamber, and Pig Destroyer have always gotten me hyped. Josh: If you haven’t checked out The World Game yet, definitely do so! We worked real hard on it and we couldn’t be prouder of how it came out. It will be available on iTunes, Spotify and tons of other streaming services very soon! Jason: Thank you for checking us out and I hope to see you guys stick around for this wild ride we're all embarking on. Dylan: LISTEN TO METAL AND SKATE. Grab a copy of "The World Game" from Bandcamp here, and follow Invictra on Facebook and Instagram.